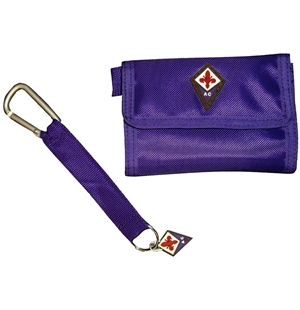 Fiorentina Wallet + Keyring, velcro strap fastening. 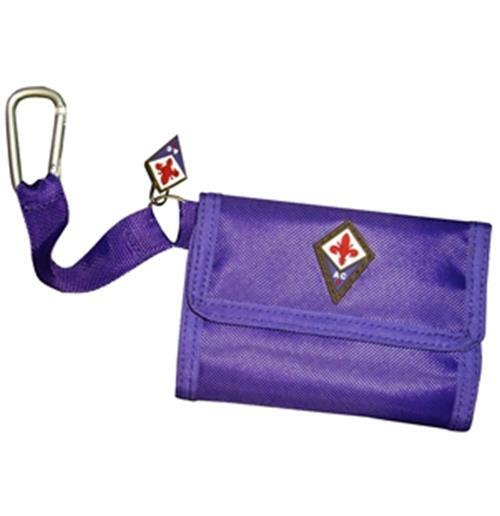 Multipockets, 2 inner zipped pockets, transparent pocket for placing ID cards, pen holder and removable carabiner that can be used as a keyring. 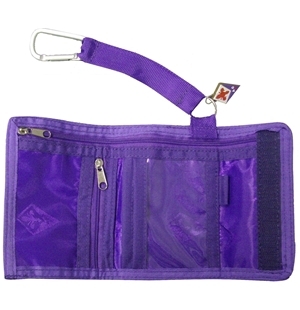 Fully lining.